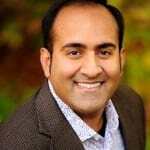 Rohit Bhargava is a trend curator, founder of the Influential Marketing Group (IMG), and the author of five best selling business books including Likeonomics (shortlisted for Best Sales/Marketing Book of the Year by 1800CEORead). Rohit has advised dozens of marketing and business leaders to lead with personality and build more human brands and frequently delivers keynote speeches to audiences from 50 to 5000 people. He has been featured as a two time TEDx speaker and been invited to present or consult in 27 countries around the world for brands including Intel, Vodafone, SABMiller, Pfizer, SAP, American Express, Swissotel, Ford, and more. Prior to starting IMG, he spent 15 years as a marketing agency executive at two of the largest creative agencies in the world (Leo Burnett and Ogilvy) leading global digital and social media strategy. He co-founded the world’s largest team of social media strategists at Ogilvy and the first digital group at Leo Burnett back in 2000.